Starting a blog can be a daunting experience with so much information out there. So we created a starting a blog stack that covers everything you need to know about starting a blog in 2017. These days it seems like just about everyone has a blog, from your average individual to the world’s biggest celebrities and corporate brands. So what is it about blogging that’s piqued the interest of so many people and just how easy is it to set up your own blog? Read on to find out how to start a blog. There are hundreds of different reasons why someone, somewhere, may want to start their own blog. Some people start blogs for purely personal reasons, whereas others blog professionally. Others look towards blogging as a way to escape the rat race and start their own business. Thankfully, due to the Internet this is possible. It will require a lot of work and effort but it’s possible to make a full time living from blogging and work from anywhere in the world. Sound good? Blogging can be a great way to get your thoughts out on the Internet, if you’re a small business owner, blogging can let you build an audience in your niche and let you display your expertise around your subject. There are so many different reasons to learn how to blog that’s it’s important you learn how to start a blog before rushing in. Rushing in can often lead to mistakes and wasted time. We aim with this guide on how to start blog to remove those barriers, get you up and running with your blog and give you advice on how to make your blog successful and start bringing in traffic. This will be a pretty long post but it should cover all the basics and much more giving you tips and advice on how to start your blog and then how to make it a blog worth reading. We will start with a more detailed look into the reasons people start a blog in the first place. Many people start blogs as a way to document their lives. When blogs first emerged on the internet they were often referred to as an online version of a diary, however unlike with a secret diary, your posts are available for the world to see! Writing a blog will give you something to look back on in the future. If you are particularly passionate about a subject or hobby and have something to say, blogging gives you a voice – a chance to share your thoughts and opinions with others. It is great for showing your knowledge of a particular subject and establishing yourself as an expert. This can be particularly beneficial for those seeking work or looking for a way to further their careers. A popular reason for starting a blog is to meet others and become part of an ever-growing online community. As well as using blogging to help others (perhaps by giving advice on certain subjects) and making new friends, blogging also provides a great way to keep in touch and stay connected with friends and family. Today it is not just individuals that blog, but businesses of all sizes too! In fact, blogging is one of the best ways that companies can engage with their target audience and drive sales. Writing a blog allows companies to share their expert knowledge, drive traffic through to their ecommerce websites and increase their visibility in search engine listings. Now you have a reason to start blogging, let’s move on to why WordPress is the only platform you need consider. Type something along the lines of ‘start a blog’ into Google and you will be presented with pages and pages of blogging platforms to choose from; however we can save you a significant amount of time by directing you straight to the WordPress.org website. A self-hosted WordPress.org blog is your very best option. Whilst there are plenty of other blogging platforms out there, none of them quite rival WordPress, which is used by bloggers all over the world, as well as global companies like Sony, Disney and CNN. Unlike with other blogging platforms and even WordPress.com blogs, you will be required to buy hosting separately. This will give you complete control over your content, how your blog looks and how it functions. There are also thousands of themes and plugins to choose from, allowing you to create a completely unique blog that reflects your personality or the values of your brand. Whilst setting up a WordPress.com blog may seem the most straight forward option, it really isn’t difficult to install WordPress and set up a WordPress.org blog and it will benefit you so much more, as we will go on to explain later. If you are still wondering if WordPress is the right blogging platform you or your company, check out the benefits below and we’re certain you’ll be clicking that installation button in no time! WordPress is free to download, install and modify. It can be used to create any kind of blog, making it accessible to individuals, small businesses and large corporations. It also benefits from being open source. This means that its core code is open to anyone to view, modify and tweak. The platform is maintained by a large group of volunteers (known as the WordPress community) who have a shared interest in improving and growing the platform. Their mission is to write patches, answer support questions, create plugins and design themes in order to make the WordPress platform the best it can possibly be. Another benefit of WordPress is the fact there are thousands of plugins and themes you can use to customise your blog to improve its look and functionality. Browse the WordPress themes and you will find there is a design to suit pretty much every type of blog, from photography to beauty and travel. Even if you can’t find a free or paid for theme to suit your blog, you can simply hire a WordPress web designer and they’ll create a custom theme for you! If you are new to blogging, it is likely that you will be on the lookout for a platform that is simple and easy to use. Luckily for you, WordPress offers just that. Whilst it may be a highly functional platform with excellent customisation options, it is also extremely user friendly. Even if you are not experienced in building websites, you will be able to handle WordPress. The dashboard looks a little like a desktop publishing program like Microsoft Word, so you will find it very easy to add, edit and remove content. WordPress is also very simple to manage. It has a built-in updater so that you know when new versions of your plugins and themes are available. You will also receive a notification in your WordPress dashboard when a new version of WordPress becomes available. Updating WordPress, plugins and themes is essential to protecting your blog and keeping your content safe. We mentioned earlier that WordPress is an SEO friendly platform. This basically means that the core code is of a high quality and is therefore attractive to search engines. Having an SEO friendly blog is important, as it will help it to rank in relevant search engine results. The higher your blog ranks, the more traffic it will receive. There are a number of ways you can achieve a higher ranking including writing unique, interesting and relevant content and getting natural backlinks from other blogs and websites. You can also optimise your blog further by installing one of the many WordPress SEO plugins available. Now we have covered some of the reasons why people start a blog, we’ll take you through the actual steps on how to start a blog so you can get your hands dirty and start taking action. Below are the steps suggested from WordPress hosting, installing WordPress, WordPress themes and generally setting up your blog and getting it live. Next we will look into WordPress plugins and then the fun part, SEO and how to create popular content. The steps described in this section will save you a lot of time and effort. If done correctly it has the potential to put a turbo charge on your blog so you’ll get better results faster. Many people get discouraged with their blog early on because they aren’t seeing results early on, follow the steps here and you’ll have a head start in your blogging career. Next we’ll walk you through how to make money from your blog, if this is something that you’re interested in. Either way, take the time to read and follow the advice here and I’m pretty sure you’ll do really well with your blog. Let’s get started getting your hands dirty! If run a website you’ll need a domain. The domain should be branded or related to your industry. Normally you’ll need to go through a domain registrar like GoDaddy or Namecheap, however with SiteGround you can have a free domain when you sign up with their hosting. This is something we cover below. To get started with a blog you’ll need hosting. Hosting allows you to store your websites files and media and serve them when a user requests them (logs on to your website). Thankfully, hosting is pretty cheap and should cost you just a few dollars per month. There are different types of hosting available but if you’re just starting out with your blog, shared hosting should suit your needs. I’d advise to stay away from free WordPress hosting as it may cause more problems in the long run. A shared hosting option allows you to install WordPress very easily and is looked after by the company. Many people recommended Bluehost for the job, however, I don’t. There’s a better option for a similar price. This company is SiteGround. I’ve been tracking the uptime of various hosting companies for a long time now and the response time of Bluehost is always much higher than other hosting companies. The time between those two events is known as the “Server Response Time”. No matter how optimized your web pages are for speed, if your server response time is slow your pages will display slow. As you can see from the image above Bluehost is performing quite poorly with response times consistently over the 2000 millisecond (2 seconds) range. Bear in mind that this is the response time of the server, not measured is the content of your website added on top of this which can lead to a slow loading website from the start. SiteGround on the other hand, are much faster with speeds consistent around 400 milliseconds (0.4 seconds). That’s a 1.6-second difference in response times! Site speed is now a ranking factor in Google and it’s important to measure and improve the loading time of your website to deliver the best user experience possible. While there’s many things you can do to improve your loading speed yourself such as optimising images correctly, reducing the HTTP request and much more, the hosting company you pick is an important part of this. If you’re serious about blogging and want to deliver a good user experience then pick the fastest hosting company that you can afford. This is the response times for WP Engine, while one of the more expensive hosting companies on the market, they do provide excellent speeds. As you can see most response times are around the 100 milliseconds to 200 milliseconds range. But it’s not just the response time that’s important when choosing a hosting company. If you have problems with your website you’ll need support ASAP. While many other websites have praised the support of Bluehost, again there are better options. I tried to install Piwik on one of my websites and got an error. I contacted support to tell them about the error. I had forgotten about the ticket I submitted until 11 days later I got a response. This may have been just a one-off incident but a few weeks later I contacted SiteGround support for some help and was blown away. Within 5 minutes of submitting the ticket, not only had someone read the ticket but they had fixed my website and replied to me. SiteGround has some of the best customer support I’ve experienced and it’s not just me, research for yourself and you’ll find other people having excellent experiences. Siteground is a great option for beginners, as your blog grows and you need more resources, SiteGround have different packages, all at affordable prices. The cheapest hosting plan SiteGround offer is the StartUp plan at $3.95 per month. Of course, SiteGround isn’t the only option you have when it comes to WordPress hosting. In fact, there’s a lot of hosting companies and it can be confusing which one to pick. We have sampled and tested various web hosting companies and written a list on the best WordPress hosting to date. WP Engine – While one of the more expensive hosting companies – WP Engine is a fully managed hosting solution with blazing fast speeds – See our review for speed tests and more. To run your WordPress blog you will need to buy a domain and web hosting. You can either buy your domain name separately from a website like Go Daddy or 123reg or you can buy it as part of your hosting package with a provider like SiteGround. There are a few different ways to install WordPress. It all really comes down to the hosting provider you have chosen. If you are still deciding between hosts, we highly recommend SiteGround. The WordPress installation process for SiteGround users is pretty straightforward and if you get stuck you can simply call up the support team and they will take care of it for you! If you’re not planning on using SiteGround as your hosting company then here are the steps to install WordPress. While companies like SiteGround and A2 Hosting offer an easier way to install WordPress a high percentage of hosting companies will be using the following steps. The script will then automatically install WordPress for you. When you type in your domain name, instead of showing the generic hosting advertising page, it will show your WordPress website with a basic theme and introductory post. You will also be provided with the login URL for your WordPress admin (http://yourdomain.com/wp-admin/). Visit it, login and you will be able to start customising your blog and creating your content from the WordPress admin dashboard. I’ve tried the following frameworks with excellent results so they will make a good choice for your first WordPress theme. All come with good support and a large number of themes which you can install on top of the framework. This website is currently using Genesis with a Genesis theme. So far I haven’t had any complaints. Everything runs smoothly like it should and I know it’s extremely flexible if I need it to be. Prices start from $59.95 which you’ll get the Genesis framework and the default child theme. For other themes on the StudioPress website you’ll be paying $99.99 for the framework and a theme. Elegant Themes is very popular with WordPress users. You can have access to all of their 87 themes for only $67!. There are a lot of themes to pick from in all different niches so you’ll no doubt find something that suits you. Thesis is another popular option for a good WordPress framework. It’s very flexible but will require a learning curve to understand how to get the most from it. Depending on which option you pick you’ll have access to a couple of themes which you can edit to suit your tastes. Pricing starts from $87. All of the above are tried and tested and will make a great choice for starting your blog. Here’s how to install a WordPress framework/theme. Once you’ve logged into WordPress look on the sidebar and click on appearance > themes. If you’re not installing a theme from WordPress you’ll need to upload it. You’ll need to upload your framework in a zip format. Once it’s uploaded click activate and you’ve just uploaded your WordPress theme. WordPress plugins are great for enhancing your blog and extending its functionality. Again, there is a plugin for everything from social media integration to SEO optimization. If you want to know more about the best WordPress themes available, see our recommendations in the next section of this article. To see the current most popular WordPress plugins, we created a tool that updates every 24 hours to show the most downloaded WordPress plugins. This is a great way to see which free WordPress plugins are the most popular and ones you can use for your own website. Once your new website has WordPress installed and is on a good hosting plan it’s time to start thinking about a WordPress theme to use. WordPress has thousands of themes to choose, from free to paid. The only problem is finding the one that’s right for you and the theme of your website. You can improve the functionality of your blog by installing WordPress plugins. As we mentioned before, there are thousands to choose from, but we do recommend being selective, as going overboard could slow down your blog’s page loading speeds. If you need a helping hand in choosing the best plugins for your WordPress blog, check out our list below. The Yoast WordPress plugin is easily the best SEO plugin available. Despite being free, it has a wide range of features that make it easy for users to get to grips with SEO. One of its best features is the evaluation tool. This shows up as red, yellow or green, depending on how SEO friendly your content is. If you are looking for an easy way to optimize your WordPress blog for search engines, Yoast is the best plugin to use. If you want your blog to run efficiently, you will need a good caching plugging like W3 Total Cache. This plugin will keep your site up and running smoothly, even when your traffic has spiked. Basically, a caching plugging like this reduces the amount of data your blog has to load every time a user loads your site’s pages. W3 Total Cache handles everything from minification to disk caching, browser caching and more. It is said to give your site at least ten times better site performance and will significantly reduce page loading times. Oh, and it has also been recommended by Google’s Matt Cutts – a definite must-have! This plugin is not allowed on certain WordPress hosting companies, however, while the purpose of this plugin is to speed up your website some hosting companies have their own caching solution so you don’t need to install this plugin. Examples of said companies are WP Engine and SiteGround. Gravity Forms is a paid plugin, but it is certainly worth the money if you are looking for the best contact form plugin for WordPress. It can handle all types of form generation and makes it easy to manage all of the different forms your blog requires. If you are serious about making your blog successful, data analytics will play a key role in your mission. Using a plugin like Google Analytics for WordPress by Yoast, you will gain access to a wide range of information that can help you to better understand your site visitors and make valuable improvements. Many websites use images to improve the content of their website. This is great but many websites don’t consider site speed when uploading images, the images used on blogs are the main reason for slow loading blogs. I recently came across the Kraken image optimizer which will reduce the size of your images more than traditional methods like Photoshop’s save for the web feature. Although this plugin is $5 per month it’s worth it if you plan to use a lot of images on your site and want faster loading times. They have a WordPress which will optimize your images as you upload them so there are no additional steps. These are just some of the top plugins for WordPress blogs. If you are looking for something in particular, it is likely there will already be a plugin out there that can do it, however, if this isn’t the case, you can always get in touch with a WordPress developer and they will be able to build a custom plugin for you. Blogging isn’t hard but it takes a lot of planning and hard work to get a popular blog. What’s the secret to creating a popular blog? There is none but the formula can be summed up in two words. 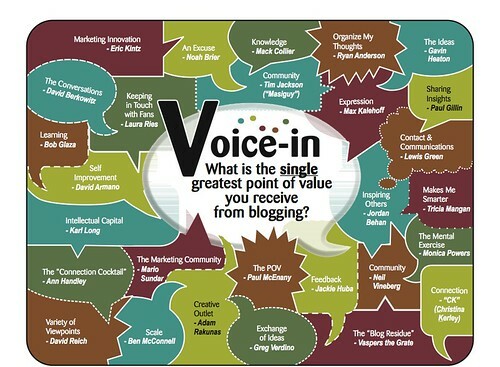 Here I’ll explain how to create value on your blog so it becoming popular. It’s important that your website is search engine friendly. SEO has evolved over the years and while the fundamentals are the same, the process of doing SEO has changed a lot. Long gone are the days you can rank for a keyword doing article marketing in on Ezine Articles and Goarticles. Today SEO is all about good content with high-quality relevant links. Sound easy? It is but it takes a lot of work. One of the traps new bloggers fall into to publish a lot of content and just wait. The idea of build it and they will come doesn’t apply here. You’ll need to hustle, reach out to people and promote your work. Don’t worry, I’ll give you advice on how to get a head start with your blogging so you’ll start producing amazing content, gaining links and increasing rankings from the start. Before we go into that though we’ll need to talk about the essentials of SEO. SEO is the process of helping search engines understand your content. However, Google have gotten a lot better at this than a few years ago. SEO is now mainly marketing but it’s also important to take the time to research and test the following. Keyword research is one of the most important parts of SEO and one many bloggers overlook. It’s important to try and have an idea of what keyword you’re trying to target. The process is simple yet complicated: Find high traffic keywords with low competition with commercial intent (if you’re planning to sell something with your content). There are 5 different area of the buying cycle which are listed below. Awareness – user needs faster web host but doesn’t know what company is the fastest. Google search could be fastest WordPress hosting company. Consideration – user knows WP Engine is a fast hosting company but wants more information. Google search could be WP Engine review. This is a simple example but hopefully, it shows you how different keywords can be used to target the same product. This is what keyword research involves and it takes time and practice and tweaking to get it right. On-page SEO is becoming more and more important with SEO as Google starts to understand natural language better. Back in the day you could get away with adding your keyword in your content a lot, this was called keyword stuffing and can now hurt you. While it’s important to still add your keywords in important places like your H1 and title tags you no longer need to go crazy and stuff your content with your main keyword. One tip when considering on-page SEO is to write for humans and not search engines but you’ll still need to be able to show the search engines what you want to rank for. Thankfully, because we are using WordPress we can install the WordPress SEO plugin which makes on-page SEO so much easier and will act as your little helper constantly checking your content and it will give you the green light when there’s good on-page SEO. What you need to do is add your keyword into the focus keyword section. The plugin will then look at your content to see if you’ve added the keyword in the main places. Try to make all these green. Once they are green you can then go a bit deeper with your on-page SEO. Click on the Page Analysis tab at the top. You’ll see a series of lines each with a light by them. I’ve included an example below. The keyword density is 0.08%, which is a bit low, the keyword was found 6 times. The keyword for this page contains one or more stop words, consider removing them. Found ‘a’. The copy scores 67.6 in the Flesch Reading Ease test, which is considered OK to read. This page has 24 outbound link(s). Keyword / keyphrase appears in 1 (out of 43) subheadings in the copy. While not a major ranking factor, this is beneficial. There are 7159 words contained in the body copy, this is more than the 300 word recommended minimum. You’ve never used this focus keyword before, very good. – important not to target the same keywords on various posts. There are 163 words contained in the body copy, this is below the 300 word recommended minimum. Add more useful content on this topic for readers. – See below for why longer posts get more shares/links/rankings. These are the main ones to got green in my opinion. Of course, there are other tools to help you with your on-page SEO. See Scribe SEO as an example. Link building is still very important for SEO but at lot has changed in a few years. Now if you plan to link build you’ll need to focus on quality and relevancy. During your link building, you will come across terms like below. MozTrust is Moz’s global link trust score. It is similar to MozRank, but rather than measuring link popularity, it measures link trust. Receiving links from sources with inherent trust—such as the homepages of major university websites or certain government web pages—is a strong trust endorsement. Domain Authority represents SEOmoz’s best prediction about how a website will perform in search engine rankings. Use Domain Authority when comparing one site to another or tracking the “strength” of your website over time. We calculate this metric by combining all of our other link metrics (linking root domains, number of total links, mozRank,mozTrust, etc.) into a one single score. Page Authority – Page Authority is Moz’s calculated metric for how well a given webpage is likely to rank in Google.com’s search results. It is based off data from the Mozscape web index and includes link counts, MozRank, MozTrust, and dozens of other factors. It uses a machine learning model to predictively find an algorithm that best correlates with rankings across the thousands of search results that we predict against. Citation Flow is a number predicting how influential a URL might be based on how many sites link to it. These are metrics to help you understand how strong a website is. Using these calculations it’s easier to determine which websites you need to focus on for link building. You’ll want to focus your efforts on websites with high domain and page authority. There are many ways to build links, this is something we will look at further down with the how to create popular content section. It’s really hard to naturally gain links unless you have a big budget, audience or write controversial content. When you’re just starting your blog it’s very likely you’ll need to go out and connect with other webmasters and hustle for links. This can be done in many ways and it’s pretty unpredictable, I’ve gotten links from government websites simply by just emailing them with a simple outreach script. Expect to be ignored during your outreach, this is normal and don’t let it shake your confidence. If you follow the steps I describe below you’ll have a much better chance of being successful with your outreach so you can build links more easily, gain higher rankings and traffic and start your journey to a profitable blog. I’m not going to go into how to build links here as it’s such an in-depth topic. Instead, I’ll let the experts take over and provide you with additional resources you can read and start developing your link building tactics. This step will make or break your blogging career so it’s important to understand this step. Good content is what separates A-list bloggers from the rest. By producing content that people want to read, share and link to you’ll quickly rise in the blogging ranks and become a serious blogger. Sounds easy, doesn’t it? It’s not. It takes time and effort for research, creation, and promotion. After all of this, it’s still 50/50 if your content will do well. Luckily, I’m going to share some tips with you that will increase the chances that your content does well. The formula is simple: Find out what content has already been successful and improve it. Yup, it’s that simple and something that can be repeated over and over again with excellent results. I’ll walk you through an example. Let’s use travel as an example. One of the tools that you’ll need is Buzzsumo. Buzzsumo allows you to search what content is popular and has gained the most shares. This is extremely powerful as the research has already been done for you. You’re taking the guess work out of what content to produce so you’ll maximize your success rate. Typing travel into Buzzsumo gets you these results. As you can see Buzzsumo has listed the most shared content related to food via Facebook, Twitter, Google + and more. From this we now know what content does well in this area. By analysing the content in Buzzzumo we can start to piece together a what it will take to make your content successful. It’s clear that the most successful pieces of content are lists with little text and a lot of images. Now you’re starting to shape together your content. Let’s pick 27 Surreal Places To Visit Before You Die. This post has a total of 1,457,902 total shares at the time of writing. Not bad for one piece of content right? Let’s look a bit deeper into the post. Due to the amount of shares the post has gained massive exposure which has allowed the opportunity to create a lot of links pointing towards the URL. As you can see the content has just over 500 referring domains pointing to it which is amazing. Links are very important for SEO as they give a signal to Google that the linked to content is trustworthy. The more trust a URL has the increase chance Google will give it higher rankings. Before you go building thousands of links towards your website be aware that it’s quality over quantity. A link from a more trusted website is much stronger than 100 links on websites with no trust. As you can see they are ranking for some competitive keywords which all have a decent amount of traffic. So this one post was able to generate over a million shares, 500 links and gained good rankings for competitive terms. OK, you might be thinking, well this is Buzzfeed and they already have millions of followers so it’s easy for them. That’s true but the context is still there. They created a list post with little text and a lot of images. So did the other popular pieces of content for travel. Do you think if Buzzfeed wrote 10,000 words on the same subject it would have the same effect? Doubtful. But lets pick something else.. how about knitting? They have been able to generate some backlinks but not a lot. With some promotion, they will be able to get more people linking to them. We will talk about this later. While some areas can be improved they have done a very good job for just one piece of content and the post is likely generating thousands of visitors per month. So now I’ve shown you how to find your content ideas and shown that they work, it’s time to start thinking about your own content. After some research, you should have a clear idea of what works in your niche. It could be list posts with images or it could be in-depth articles. Whatever the formula it’s now your job to improve on that content. By improving the content you’ve researched you’ll be making content that has already been successful better which will increase your chances of doing well. So you have you a content idea based on successful content, your goal now is to improve that content. This will be unique to each piece of content you find but I’ll give you some advice on things that tend to do well in Google and social media. There are 3 main areas to look at. These areas have a proven record of success. By creating a better design or increasing the length of you content you are increasing the likelihood of making your content more successful. From an analysis what makes content popular it was found that longer posts tend to have more shares than content which is shorter. It’s also found that Google tend is rank content which is longer than simple 400-word blog posts. While this is a complicated area since Google has many factors that determine rankings it’s important to understand that Google’s goal to provide the most relevant result for a search query. If you’re trying to answer a query with 400 words of content it’s likely that a 3,000-word article goes into more depth and is more useful for the user. Now you have a guide for improving the successful content it’s time to promote that content. Yeah, just publishing it isn’t enough when you’re just starting out. You’ll need to go out and hustle and put your amazing content is front of people’s eyes. Outreach is the process of contacting people to let me know about your content. The tool I suggest for this is Buzzstream. It can take a lot of time trying to gather a list of websites, filter them to find the strongest and then spend time finding email addresses. Buzzstream allows you to do this quite easily and it will save you a lot of time and keep everything organized for you. To get started with outreach you’ll first need a list of websites you’ll need to contact. There are many ways you can do this, I’ll explain a few and provide you with further reading resources which cover this subject in more depth. To increase the chances of being successful with outreach it’s important to target those websites and people which have already linked/shared the popular content that you’ve previously researched. This will increase your odds that they will link/share your content. One popular way is to build a list by reverse engineering your competition. Using the piece of content which you’ve research using Buzzsumo, extract the backlinks from that domain into a csv file to import into Buzzstream. Using the knitting URL as an example. Click on the button as shown in the image and you’ll download all the domains that are linking to this post. Now you have a list of domains that you can outreach to that are already linking to the content. Another way is to simply use Google and find the highest ranking websites and do the same process. For example, the knitting post is trying to target infinity scarf and related terms. I found http://www.oursouthernhomesc.com/2013/11/quick-easy-knitted-infinity-scarf.html in 20 seconds. It only has 7 referring domains but export that list and add it to your other list. Keep repeating and repeating until you have a decent sized list. Keep repeating until you have a sizeable list. Of course using Buzzsumo paid plans you can speed up this process by exporting all the results and use Majestic SEO’s bulk link checker and filter them to find the websites with the links to them. There are many ways to do this process but the goal is to have a good sized list of websites which have linked to content which will be similar to yours (of course yours will be better because that’s the plan!). Once you have a good list it’s time to import into Buzzstream. Once everything is imported Buzzstream will automatically go and find all the essential information like MozRank, Domain Authority and contact information for each website. Once it has collected the information you’ll see something like this. I’ve excluded the domains from the list for obvious reasons. It’s time for outreach. Buzzstream allows you to keep track of your outreach and it can manage multiple projects at once. If you have a big enough list I would suggest testing a small number of scripts on the lower strength websites to find which one has been the most successful and then use the most successful once on the stronger websites which will have the most impact. Buzzstream keeps track on your success for each script. You’ll need to make a template for outreach. This is very easy to do, here’s an example of the one I’ve used for outreach for this website. I’ve created a pretty cool tool which shows the top 30 WordPress plugins. It uses the WordPress API to display the most popular via download count and is updated every 12 hours. I think it would make a great addition to your page for people wanting to know more about the most popular WordPress plugins. Notice the shortcodes? Buzzstream gives you shortcodes to add to your template to speed everything up. I had good success with this script and here are some of the responses. Pretty simple. Keep your outreach short and sweet and personalized when you can for stronger websites. If you’ve followed the above steps you’ll have a huge head start over most new and current bloggers. Many simply publish content that they think is interested with out doing the research. With hard work and patience, you’ll see your traffic grow, new links gained and higher rankings. Once you start having a decent amount of traffic you may start asking yourself one of reasons many people start a blog – how do I make money from my job? The good news is it’s pretty easy to make money from the Internet. The bad news is it’s pretty hard to make a full time living online, however with following the steps above it will make it easier for you. There are many different ways to make money from your blog, we’ll look at the different options now. Affiliate marketing is the process of recommended another person’s/companies product. If the user purchased the product you’ll get a nice commission. There are plenty of affiliate programs around the Internet with some of the most popular being Amazon’s. You’ll find each product will differ in their commission rate, some can be as low as 3% commission ranging up to 80% (mainly for digital products). Other companies will offer a standard figure for converting, this can also range in price. WP Engine, as an example, offer a minium commission for all affiliates and this is $200 per sale!. This is via the ShareAsale affiliate platform which is a well-respected site. Sign up for the WP Engine affiliate program and receive a minimum of $200 per referral!The process of making money via affiliate links is pretty simple, you’ll get a link or banners. When someone clicks the link/banner and buys the product you’ll get a commission. Advertising is another very common way to make money online. There are different types of advertising so you’ll need to work out which one is right for you. A quick way to get start will be to use Google’s own Adsense. You can add Adsense to your website quite easily, Google will give you a snippet of code after you sign up and you place in on your website where you want the ad to appear. If you’re using Adsense, make sure you make your ads more targeted to gain extra clicks. You can do this by using the plugin Better AdSense Targeting. This allows you to target certain sections on your website which will help deliver more targeted ads on your website and drive more clicks. It’s the clicks that will generate the money for you. When a user clicks on an ad you’ll receive a percentage of the amount the user paid for that ad. As you guessed, different industries will have different amounts for the ads they make. This means that if you are in one of these industries and decide to use Adsense you’ll earn more per click than say a knitting website because people are paying more for their ads to be shown. When starting a blog you’ll have an idea of where you want your blog to end up, if you don’t make it clear what you want your blog to be and where you envision it will be in a years time. Using the steps on how to make your blog popular you should be building an audience. With an audience, you are creating a fan base who enjoy your work. It’s never been easier to create a fan base than it is today with websites like Facebook, Twitter and email services like MailChimp etc. By building an audience you have the potential to create your own products and sell it to them. One must read essay on this is 1,000 true fans by Kevin Kelly who states that all you need to do is create an audience with 1,000 true fans to make a decent living. This can be very profitable but it will all determine on a lot of things, your product, your audience. your industry and a lot more. Flipping websites is another term for selling websites. This can be a profitable way to make money online but takes time and practice. You’ll need to get your website making money every month consistently. You’ll need to show evidence on your earnings month by month but you have the potential to sell the website for 20x what you’re currently earning each month. So a website that’s constantly earning $2000 has the potential to sell for $40,000. This can be done within six months of work if you’re good. Not a bad payday. A few good resources to check out to learn about website flipping and to see how much websites sell for in your industry are: Flippa and Empire Flippers. Empire Flippers has more quality controls and a high success rate of selling but they also take a 15% cut of websites that are sold so keep that in mind. People say the money is in the list. That’s your email list. Email marketing has exploded in the last few years and is one of the main ways to keep your fans interested on what you do. The benefits of an email list are large. It’s important not to rely on Google as your main source of traffic. Google isn’t perfect and they have the impossible task of running a search engine. If you’ve based all of your traffic from Google you run the risk of one day it will all be gone with an update. Even if you play by the rules and do everything Google wants you to do there’s still a lot of people who have been caught in update while running a perfectly ‘whitehat’ website, you don’t want to run that risk so an email list allows you to keep your fan base regardless of any Google updates. It works the same way as your website though, you’ll need to create constant value to your fans. If you spam them with affiliate offers all the time and other promotions you’re not adding any value to their lives and they will unsubscribe. Whatever industry you’re in you’ll need to provide value and become an expert. Emails with how to do something/tips/advice which will move them forward is a must. Many popular email list start with some bait to get their users to subscribe. This can be in the form of a free e-book or a small course set up on an autoresponder. This allows them to collect email subscribers in exchange for information. You’ll need to keep the emails up however. MailChimp has given some advice on how to do this. One of the best ways to start an email list on WordPress is to use the plugin OptinMonster. This plugin is one of the best on the market and will help you grow your email list. Anyone still here? If so you’ve just read just over 8,500 words of text on how to start a blog. Hopefully, you will have learned something and now have the direct steps to start blogging but more importantly start a blog that is successful. Remember that a lot of people fail blogging, it’s not because they are bad writers and have nothing to say. It’s likely that they are approaching it wrong and are impatient. Making a successful blog doesn’t happen overnight, it takes a lot of time and effort. Be patient with your blog and keep going forward. You’d be surprised on how far this can get you.